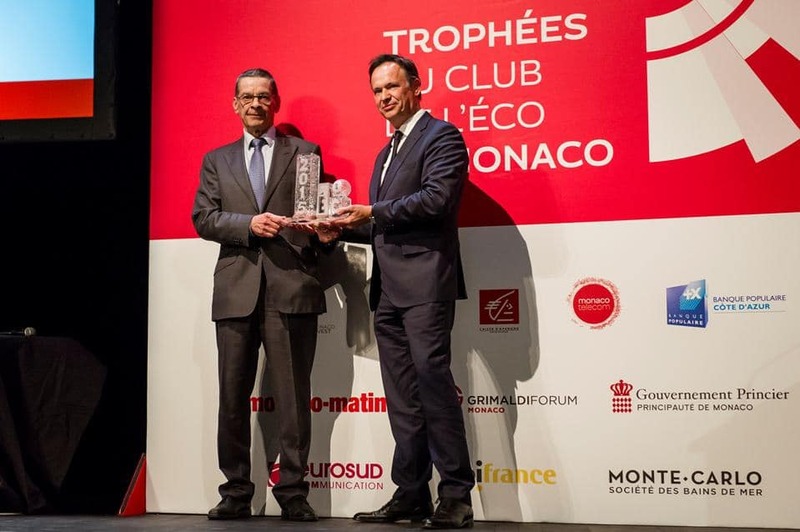 For its 4th consecutive year, Monaco Economic Board (MEB) and Nice-Matin jointly organized, the Awards Ceremony of the Monaco Eco Club Awards* to reward outstanding companies based in Monaco. Of 150 companies preselected by the Nice-Matin editors with the help of MEB, 35 were picked and assigned to 7 categories for selection by the jury: ‘Manager of the Year’ ; ‘Sustainable development’ ; ‘Innovation’ ; ‘International’ ; ‘Made in Monaco’ ; ‘Special Jury Award’ ; ‘Coup de Coeur Award’. Sonema was awarded the “International Prize” for its commitment to the African continent for the past 20 years. Bernard Delorme, Sonema’s Executive Chairman : « Sonema’s success in Africa is based on three major axes. The absolute requirement that we impose on the quality of service for our customers and partners. The strong involvement of employees in what is above all a human adventure. Finally, the structuring choices to own our production infrastructures. We have become one of the major suppliers of satellite communications services. Today, this prize rewards all of these commitments ». 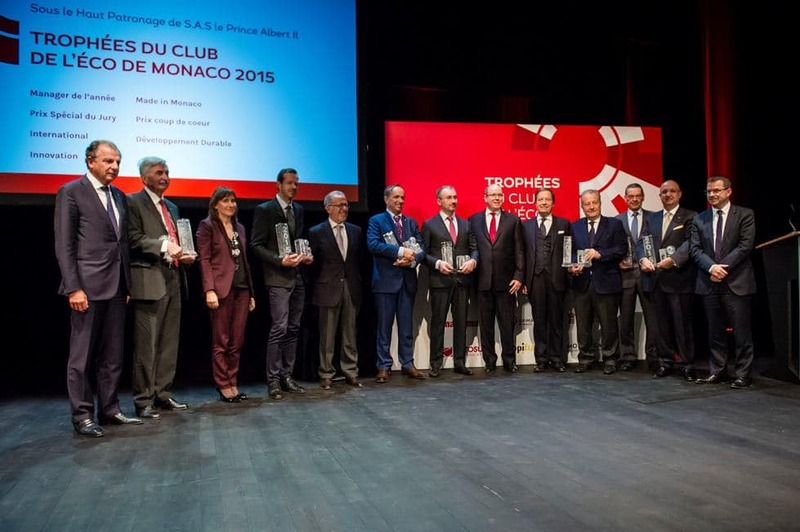 The award was presented on November 24, 2015 during the ceremony held at the Grimaldi Forum Monaco in the presence of HSH Prince Albert II and surrounded by business leaders and many Monegasque personalities. Award presented to Bernard DELORME: Sonema Executive Chairman from Michel PROST-DUMONT, Corporate Director BPCA Monaco. *Launched in 2011 by Nice-Matin with the support of MEB, Club Monaco Eco is a forum of exchange for economic players of the Principality, exchanges that put in a spotlight Monegasque economic activities.